People collapse, buildings collapse, economies collapse and even entire human civilizations collapse. Collapse is also common in the natural world – animal populations and ecosystems collapse. These collapses have the greatest impact on us when they affect resources our industries depend on, leaving ecosystems in tatters and sometimes ruining local economies. In a new paper, I look at two natural resource industries – fisheries and forestry – that are highly susceptible to collapse. From the infamous 1980s collapse of the Canadian cod industry to the apparent imminent collapse of the Heyfield sawmill in southern Victoria, we can see a recurring pattern. And by getting better at predicting this pattern, we might be able to avoid collapse in the future. fishery is depleted to such levels that it is no longer economic for fishers to go fishing. At this stage the fishery is fully collapsed. In some cases, regulators attempt to manage the fishery as fishers intensify their efforts. Examples include putting in place quotas and economic subsidies, or reducing the fishing capacity of the fleets. However, these are often belated and ineffective. This is particularly so given uncertainty about the fishing resource, lack of information on the ecology of the target species, and the fact that an industry with vested interests will lobby hard to protect those interests. Subsidies at these stages – such as tax breaks and/or fuel rebates – may mean that fishing becomes artificially profitable. Fishers may remain in the industry and continue to overinvest to obtain a greater share of a dwindling resource. Many forestry industries around the world show similar stages. Native forest harvesting in Australia is a highly capital-intensive industry. It uses heavy machinery that costs a lot to purchase, leading to high interest repayments. Such efficient harvesting may not only employ relatively few people, but also outstrip the amount of timber that can be sustainably harvested (like stage four in fisheries collapse). Significant amounts of timber and pulpwood need to be processed continuously to pay the interest and other bills for equipment (stage seven). Moreover, logging may continue even though it is highly uneconomic to do so (stage eight) and other industries that are damaged by logging (such as the water and tourism industries) are significantly more economically lucrative. Fisheries and forestry often allocate greater harvest limits than the ecosystem can produce without declining. One key reason this happens is that fish or timber allocations often don’t account for losses from natural events. For example, the mountain ash forests of Victoria rely on severe wildfires to regenerate. They are also extensively logged for paper and timber production. Yet the organisation responsible for scheduling of logging in these forests (VicForests) does not account for losses due to fire when calculating how much timber can be harvested. Major fires in 2009 badly damaged more than 52,000 hectares of this forest. But environmental accounting analyses indicate there has been relatively little change in sustained yield allocation since these fires. Yet, modelling suggests that, over 80 years, wildfire will damage 45% of the forest estate. This amount should therefore should not be included as timber available for logging. Another driver of the problem of resource over-commitment can be gaming, where stock availability and direct employment are deliberately overstated. This may be to secure the status and influence of a given institution with government, or for other reasons such as leverage in negotiations over access to resources. The autobiography of Julia Gillard, the former Australian prime minister, suggests this occurred during debates over the fate of forests in Tasmania, alleging that Forestry Tasmania overstated forest available for harvest. Forestry Tasmania denied these allegations. Early intervention in fisheries and forestry industries can prevent ecosystem and industry collapse. We also need to better ways to assess resources, including accounting for losses of resources due to natural disturbances. However, in some cases resources have been so heavily over-committed that industry collapse is virtually inevitable. 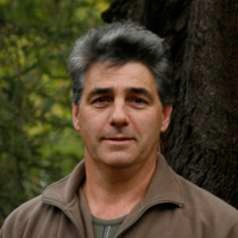 For example, environmental accounting work in the wet forests of the Central Highlands of Victoria suggests very little sawlog resource is left as a result of many decades of overcutting and associated wildfire. Clearfell logging makes these forests more prone to particularly severe fires. The collapse of the sawlog industry is highly likely, even if there is no fire. This is clear from the pleas from sawmills for access to further forest resources – even when such extra resources basically do not exist. Now the industry needs to transition to plantations for paper production and for timber (82% of all sawn timber already comes from plantations in the state). Alternative industries like tourism that employ far more people and contribute more to the economy must be fostered. There are many examples to draw on – New Zealand is one of many. When governments know in advance about likely industry collapse, then it is incumbent upon them to intervene earlier and help foster transitions to new (and often more lucrative) industries. This ensures that workers can find jobs in new sectors, and the transition is less painful for the community and less costly for taxpayers. Failure to do this is unethical. The closure of the Hazelwood power station in Victoria is a classic example of a lack of planning for industry transition. The need to close Hazelwood was discussed in formal reports by the former State Electricity Commission more than 25 years ago. The need to transition the native forest industry to plantations is equally clear and must be done as a matter of urgency. This entry was posted in Ecology, Forests and Forestry. Bookmark the permalink.